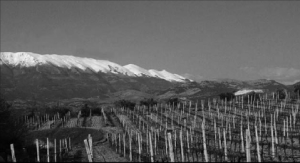 Domaine Nerantzi is a new and exciting organic producer near the border of Macedonia and Thrace in northern Greece. Nerantzi Mitropoulos is an earnest, imposing and gregarious personality whose made it his life’s mission to uncover indigenous varieties lost to the world at large and bring them back to the fore. He believes in a kind of locavore approach to wine making, whether it be the use of long‐lost indigenous varieties, spontaneous yeast fermentation propagated via the native yeasts from their vineyards, or even the use of local, Balkan oak for their cooperage. 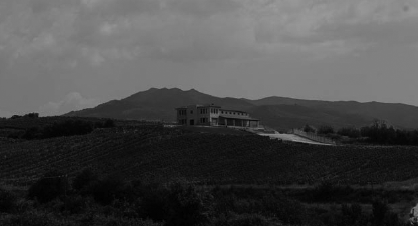 Their main desire is to have their wines express what is unique to their region and share it with the world. 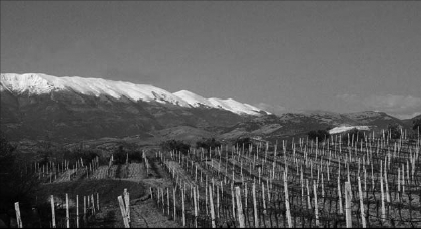 The Mitropoulos family is steeped in agriculture—consequently when Nerantzi began his serious education in wine, his main interest lay in the cultivation of the vines and the plants themselves. Due to his love of history, country and region, Nerantzi continually visited places searching for what he calls “the little things” left from the older Gree k tradition. In 1998, during one of his expeditions, his attention was piqued by a rare plant which a few of the local elders called Koniaros. This variety had been left behind due to its lack of vigor and low yields. So he decided to try to vinify it for the first time, experimenting in 1998 while searching for more information about it. Reaching out for help to professors of agriculture at the University of Thessaloniki, he was able to find a description of the variety in an old book of a professor Vlachos. As it was the only reference to this variety they could find in literature, Nerantzi decided to send a sample for DNA testing to France in order to check that it was not registered by another name somewhere in the world and that it was really a unique, indigenous Greek varietal. The results were as expected and Koniaros was officially registered and recognized as a new found genome and part of the wider Greek varietal heritage. Today, with the help of his daughter Eva who recently graduated with an oenology degree from the University of Dijon in Burgundy, Domaine Nerantzi makes several wines from their 15 hectare domaine. The soils of the domaine, which lie at an elevation of 300 meters in the foothills of Mount Menoikio, are of moderately calcareous sandy loam. But the real marvel is what is hidden within the soil: layer upon layer of ancient pottery is strewn on the hilltop where the vineyards are planted. One could say that part of the terroir of this domaine is the patrimonial history of Greece itself, as millennium of overlapping culture and history comprise what the vines dip their roots in and draw nutrients from.